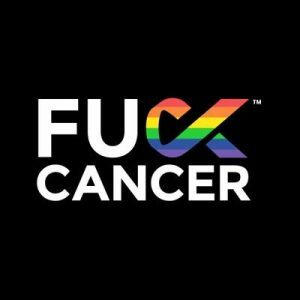 Most people face some degree of depression, anxiety, and fear when cancer becomes part of their lives. 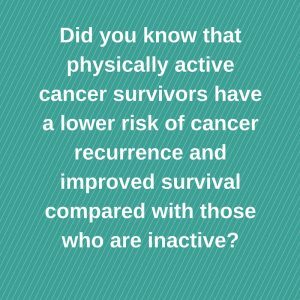 Cancer survivors also suffer from fatigue and have an increased risk for osteoporosis. Exercise helps with all these things and so much more! Improved self-esteem is a key psychological benefit of regular physical activity. When you exercise, your body releases chemicals called endorphins. Endorphins act as a natural anti-depressant by triggering a positive feeling in the body and energizing your outlook on life. Physically active people recover from mild depression more quickly and physical activity is strongly correlated with good mental health as people age. Research has found that a mere 20 minute workout can produce more subtle mood benefits that last as long as 12 hours. Better moods and energizing your outlook on life? What more can we ask for! Well, I’ll tell you!